With the Thanksgiving holiday right around the corner we’ve decided to share with you a twist on a classic cocktail (and personal favorite of mine): the sidecar. Traditionally made with cognac, orange liqueur and lemon juice, this variation adds aromatic spicy notes and apple infusion for the perfect winter cocktail. Place all ingredients in a shaker with a handful of ice. 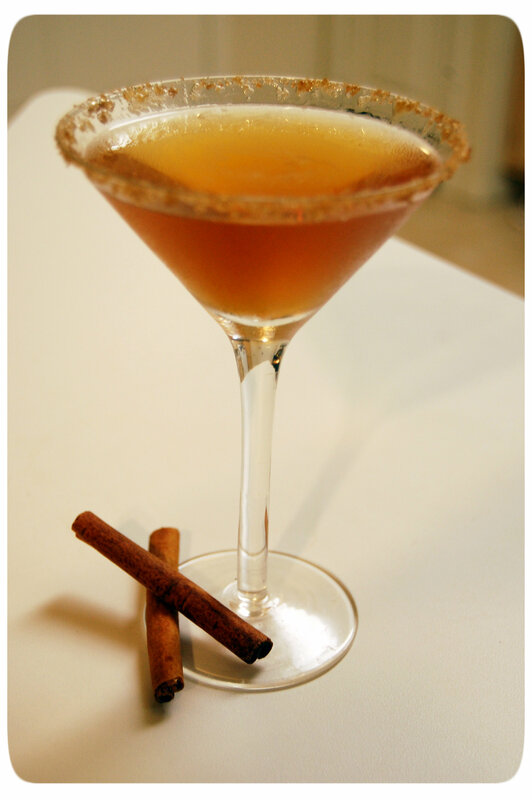 Shake vigorously and strain into a cocktail glass rimmed with a mixture of brown sugar and pumpkin spices (optional). Tip: to make sugar/spices stick to the rim of your cocktail glass, wipe rim with orange or lemon wedge. Bring cider, cinnamon sticks and citrus slices to a boil over medium heat. Reduce heat and simmer uncovered for 25 – 30 minutes. Feel free to dress up the above recipe with various combinations of spices and fruits. If you have cloves, allspice berries or star anise they also make a great addition to the cider. Don’t forget to strain the cider before cooling down in the fridge when smaller spices are added.